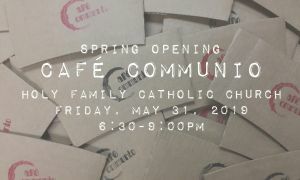 C-Squared Young Adult Ministry invites you to the Spring Opening of Café Communio, a pop-up coffee house experience at Holy Family Catholic Church (562 Atrisco Dr. SW, Albuquerque, NM 87105) on Friday, May 31, 2019 from 6:30-9:00pm! 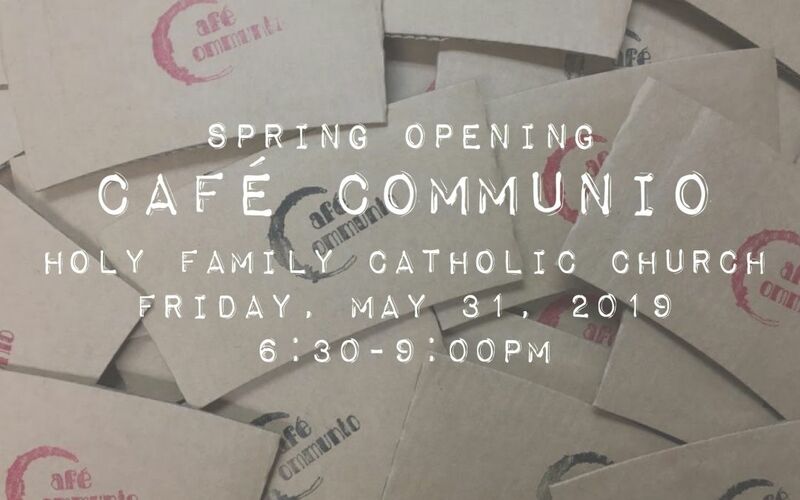 Enjoy food and drinks from local food and coffee trucks, live music from the hosting parish, and time in community! All are welcome! *Cash and credit cards accepted. For more information about C-Squared Young Adult Ministry, Café Communio, and/or this event, call (505) 873-4399 ext. 237 or email cchavez@norbertinecommunity.org.